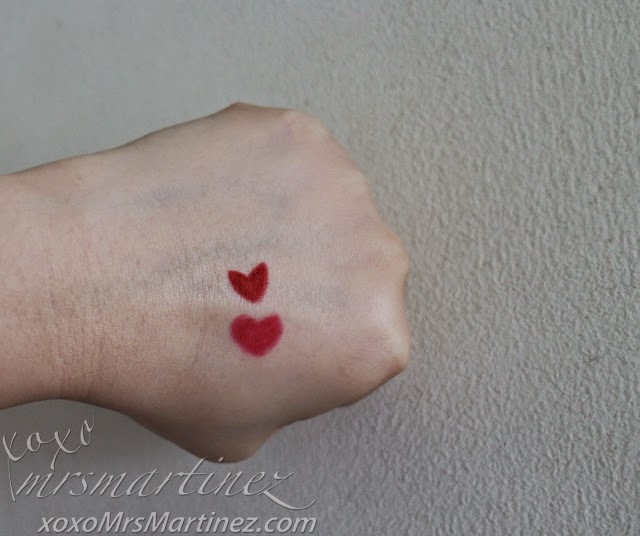 It's Valentine's Day so I must wear something red! 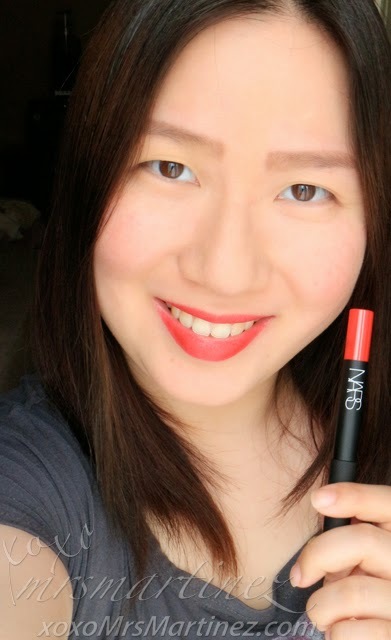 Luckily, I got NARS Velvet Matte Lip Pencil in Dragon Girl. 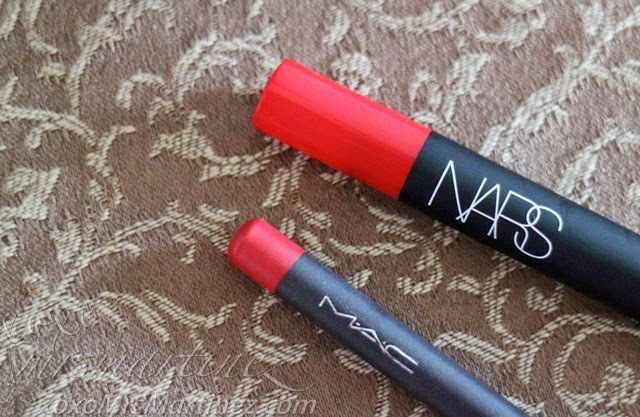 Apparently, this beauty product is one of Heart Evangelista's favorite red lipstick. 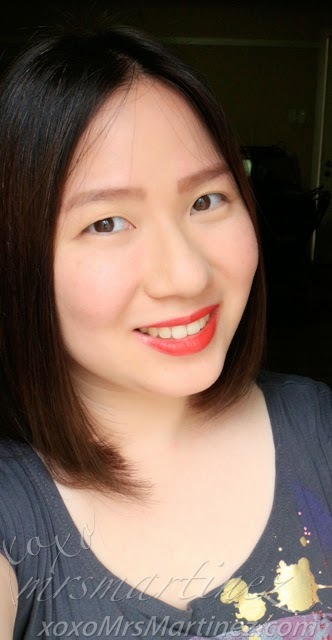 Anyway, I compared its redness with MAC Lip Pencil in Cherry. The latter's color appears deeper and redder. 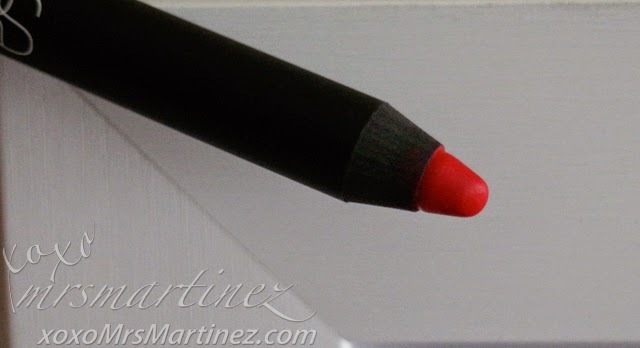 NARS Velvet Matte Lip Pencil in Dragon Girl is paler, it has a cool tone- pink undertones and blue base. It even appeared like dark pink in the photo above. Incidentally, I decided to have my hair trimmed just in time for my Valentine's date tonight. Now, all I need is to retouch my hair color and I am all set. How do you like my new look?